If the Lowestoft based Waveney District Council get their way we will have a replay of Michael Gove's appearance before Leverson at the unlikely venue of Lowestoft Town Hall. Last night their Scrutiny Committee met for a second time to discuss the Beccles Free School debacle and made two main decisions. Firstly to "invite" Michael Gove to attend and secondly to request that the Education Select Committee look into the "consultation" process. Of course sadly Waveney cannot dispatch Suffolk constabulary to arrest Gove if he fails to attend but it does show the strength of feeling on a committee which like Waveney itself is split 50/50 politically. and to be fair to the Tory committee members I do not think this is just due to fears for their seats. There is a widespread political consensus that this is not the time or place for a free school. Mark Bee described free schools as an urban solution applied to a rural problem. Gove really should come see for himself what people here really think. Detailed notes have been made of the meeting by a reader of this blog and can be found on wikisuffolk. The meeting consisted of first Bee and then Aldous giving an account of the measures they took to try and stop what by unanimous consensus is a wasteful school. As ever Bee gave the most credible performance and it is clear he has opposed the school from the off. On 20th February we met with Seckford and said ‘let us find an exit strategy for you’ as there was very much a feeling of support for SJLHS in the community. We told them there was no support locally for a Free School in Beccles but they were not for turning, they were not budging at all. SJLHS and Seckford were locked in a tustle for the future of education in Suffolk. Aldous who in fact had spent until the last minute sat on the fence in public was not quite as convincing making a clumsy attempt to point the finger at those campaigning against the school. 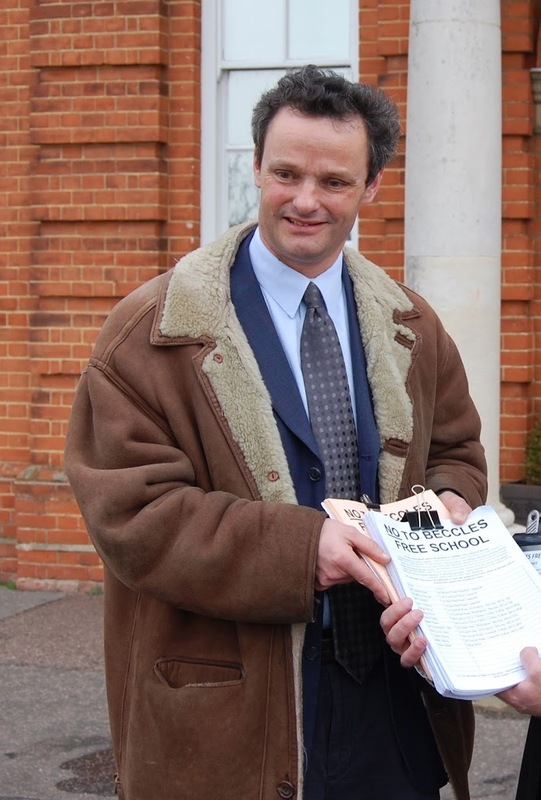 There has been a strong, robust and passionate campaign against the Free School – I congratulate those who took part but they have been hoist by their own petard as the Government believed there was an element of brinksmanship here that led them to reach the wrong decision. The reality is that the campaign has had much more success than the behind the scenes endeavours of Aldous. Clearly he has tried but does not have the influence with Lord Hill or Gove. In the end Aldous aligned himself with this campaign. Some might say too late in the day. 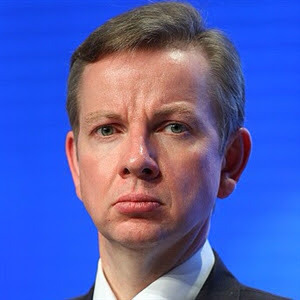 In the end the mood of the meeting was that Gove himself should be called to give evidence. Cllr Swainson: The purpose of this committee is to call to account people who spend money in our district. It is entirely appropriate we call to account the person who made this centralised decision. It is the complete opposite of localism. This needs to be a standing item for this committee month by month. It is quite clear we are strongly against this Free School. I come back to the empty chair – you can scrutinise an empty chair – it is not without precedent. They will get so much bad publicity that they will have to attend next time. For all its failings especially acting too late Waveney are showing a much better model of democracy than their supposed big brothers and sisters in Westminster.